Accurate and safe pressure monitoring – TruWave disposable pressure transducers may be used independently or combined with VAMP closed blood sampling systems for a single safe, reliable and accurate monitoring solution. 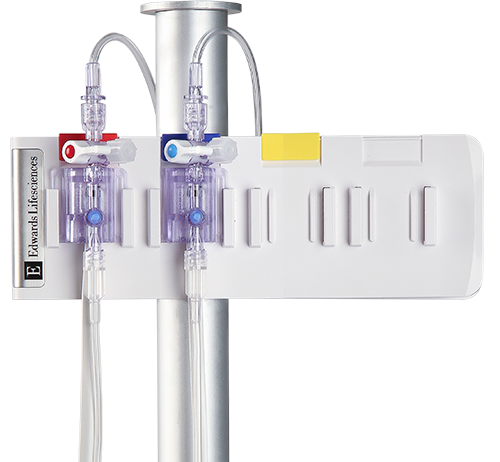 Our standard TruWave pressure monitoring kits are sterile, single-use kits that relay blood pressure information from a pressure monitoring catheter to a patient monitoring system. Our standard TruWave pressure monitoring transducer kits are sterile, single-use kits that relay blood pressure information from a pressure monitoring catheter to a patient monitoring system. 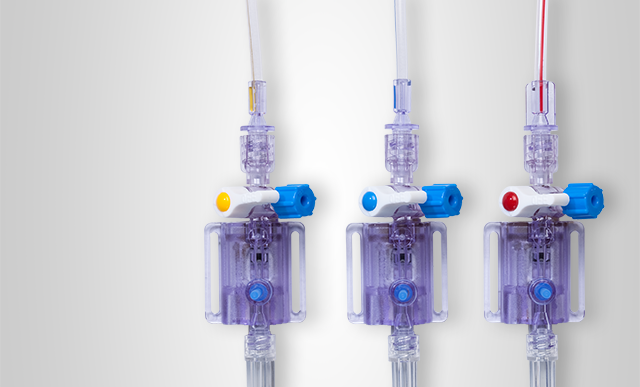 TruWave transducer kits can be paired with the VAMP (Venous Arterial Blood Management Protection) system for a single safe, reliable and accurate monitoring solution. 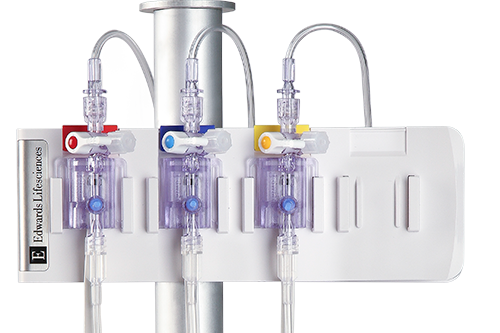 Our standard TruWave pressure monitoring transducer kits are sterile, single-use kits that relay blood pressure information from a pressure monitoring catheter to a patient monitoring system. 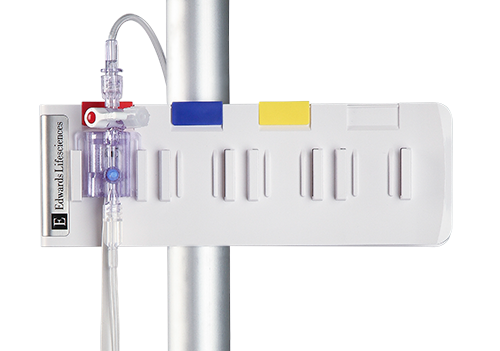 Our pediatric TruWave pressure monitoring transducer kits are sterile, single-use kits that relay blood pressure information from a pressure monitoring catheter to a patient monitoring system. Pediatric TruWave transducers can be paired with the VAMP Jr. system for a single safe, reliable and accurate monitoring solution. Our TruWave flushless disposable pressure monitoring transducers are designed for intracranial pressure monitoring. Connecting your TruWave pressure monitoring transducers is simplified with Edwards multi-channel pressure cables. The streamlined design eliminates clutter and confusion. Available in single, bifurcated (2-in-1) and trifurcated (3-in-1) configurations with color-coded ends for easy setup: the right number of lines for the right patient. 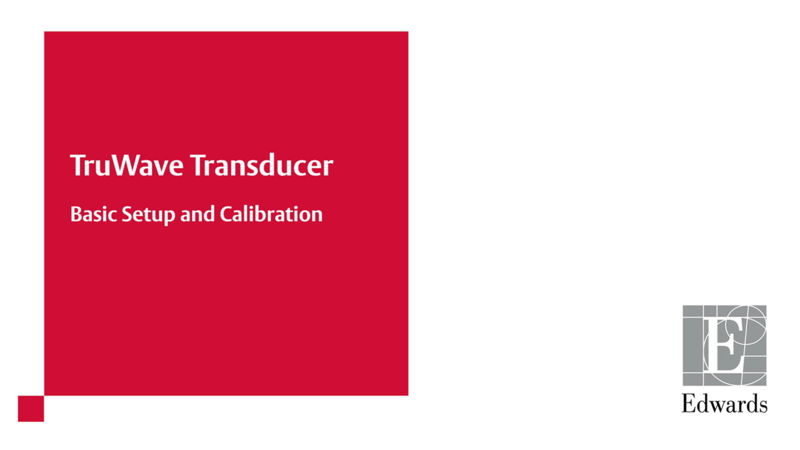 Contact your Edwards sales representative for the appropriate cable part number to connect your TruWave transducer to the bedside monitor. Bedside measurement of intravascular pressures is a basic tool in the care of the critically ill patient. The following animation demonstrates best practice in the set-up of the TruWave disposable pressure transducer.